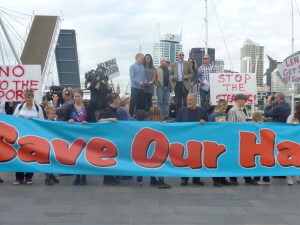 Civic Trust was represented at the latest port protest on Sunday 3 May. 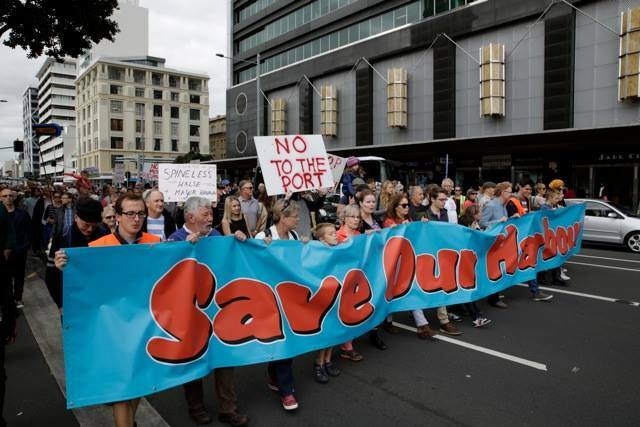 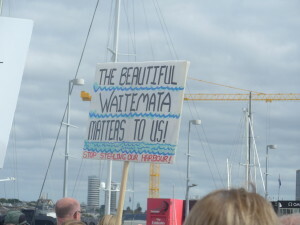 Organised by the group Stop Stealing Our Harbour, the protest drew 1500 people, who marched down Quay St to the Viaduct to hear speeches from councillors, MPs, and representatives from Ngati Whatua and the yachting community. 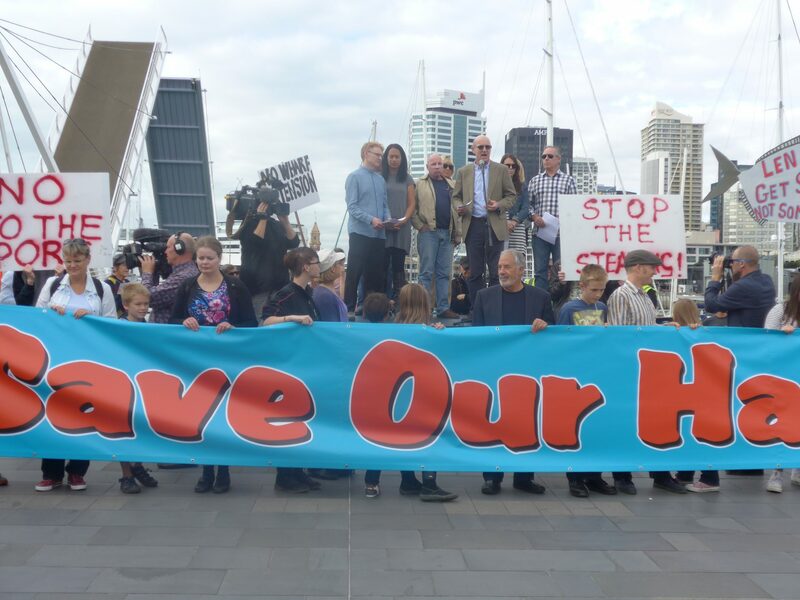 To support this protest against the harbour land grab, click here.